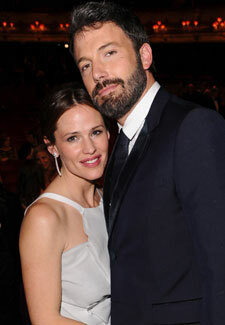 Ben Affleck had viewers cringing when he accepted his Best Film Oscar for Argo back in February. The clearly emotional actor fought back tears as he called his eight year marriage to Jennifer Garner ‘work’. Oops. However, easy-going Jen has defended the speech, saying: ‘I knew he meant it as the hugest, warmest compliment in the world’. Now proud Jen, 40, has silenced the critics. Just when we thought we couldn’t love these two any more!